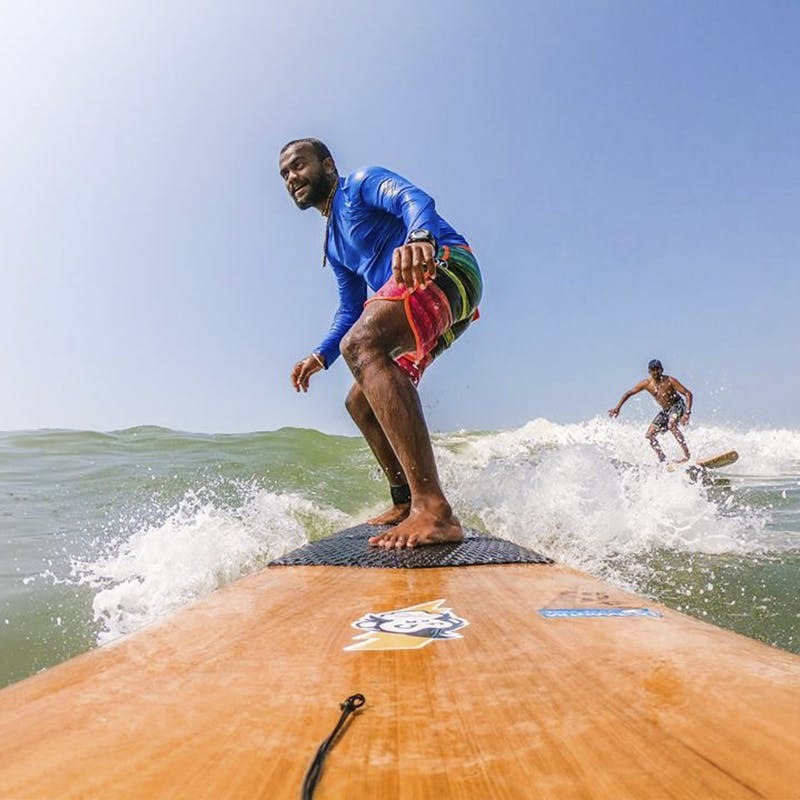 Considered India’s first ever surf club, Mantra Surf Club in Mulki (Mangalore) is dedicated to surfing, wakeboarding, water skiing and kayaking as part of their retreat. Started in 2004, Mantra Surf Club was opened by two American boys who were pioneers of surfing on the East Coast of the United States. They believe that surfing promotes health and spiritual well being (if I spent all that time amidst blue waters, I’d be a happy water baby too!). Apart from usual surfing lessons, the club offers a variety of adventure water sports including kayaking, stand up paddling, wakeboarding and jet-ski as you explore the backwaters of River Shambhavi. Feel free to get out of the surf club with some fun outdoor activities like cycling, skateboarding, hiking and camping. You can go on bicycle tours and explore the culturally rich town of Mulki or check out the beautiful peak of Kudremukh in the Western Ghats. If you feel like taking it slow, we suggest signing up for their Ashtanga yoga classes. Not only is Mantra bringing the culture of surfing to India but also empowering the local villages to train and become instructors. A basic room for three people costs around INR 5,500 per night. Mulki has some clean beaches and local festivals surrounded by friendly people so take a break from the hectic routine of your daily life and ride some waves! If you’re not an outdoorsy person, you might get bored at Mantra Surf Club because there’s not much else to do in Mulki apart from the club’s activities. However, if you are a water baby, we suggest starting off with the club’s three-day surf course for beginners.